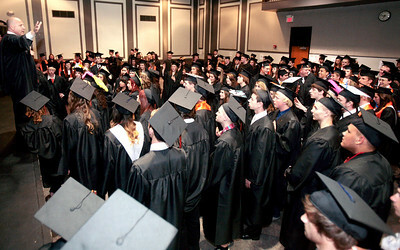 Michelle LaVigne/ For Shaw Media McHenry East High School's principal Eric Blake, gives the graduating class of 2014 a pep talk before heading to the gymnasium for commencement in McHenry on May 15, April 15, 2014. This was Blake's first year as principal at McHenry East. 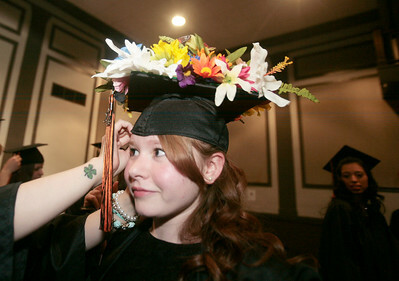 Michelle LaVigne/ For Shaw Media Kalee Cossiboon receives an adjustment to her cap prior to the McHenry East High School's commencement in McHenry on May 15, April 15, 2014. 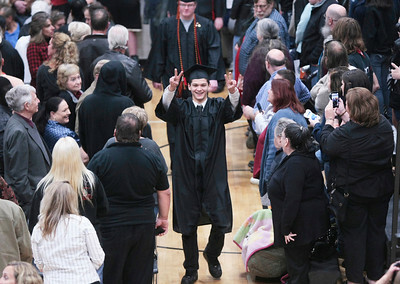 Michelle LaVigne/ For Shaw Media Graduating high school senior Matthew Jordan Haun makes his entrance into the gymnasium for the McHenry East High School's commencement in McHenry on May 15, April 15, 2014. 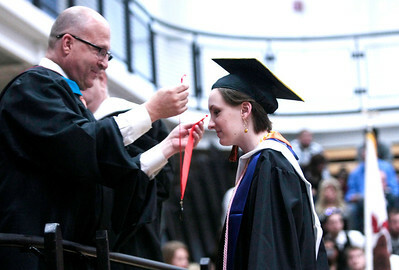 Michelle LaVigne/ For Shaw Media Sara Wimmer is given her honors medal by principal Eric Blake during McHenry East High School's commencement in McHenry on May 15, April 15, 2014. 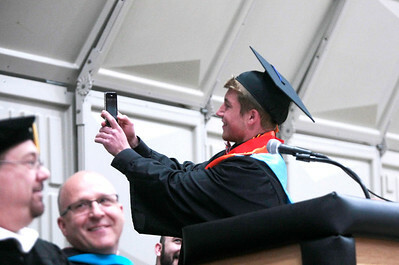 Michelle LaVigne/ For Shaw Media McHenry East High School class president Thomas Hellios takes a "selfie" before addressing the graduating class of 2014 during McHenry East High School's commencement in McHenry on May 15, April 15, 2014. 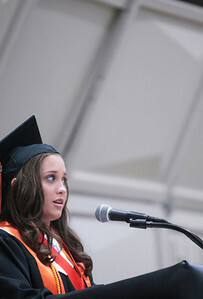 Michelle LaVigne/ For Shaw Media Courtney Mills delivers the honors address during McHenry East High School's commencement in McHenry on May 15, April 15, 2014. 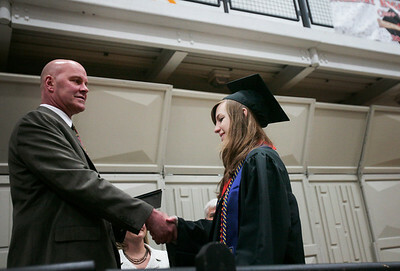 Michelle LaVigne/ For Shaw Media during McHenry East High School's commencement in McHenry on May 15, April 15, 2014. 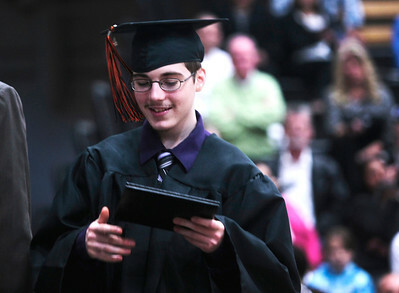 Michelle LaVigne/ For Shaw Media Darrin Gilligan checks out his diploma after receiving it during McHenry East High School's commencement in McHenry on May 15, April 15, 2014. McHenry East High School's principal Eric Blake, gives the graduating class of 2014 a pep talk before heading to the gymnasium for commencement in McHenry on May 15, April 15, 2014. This was Blake's first year as principal at McHenry East.